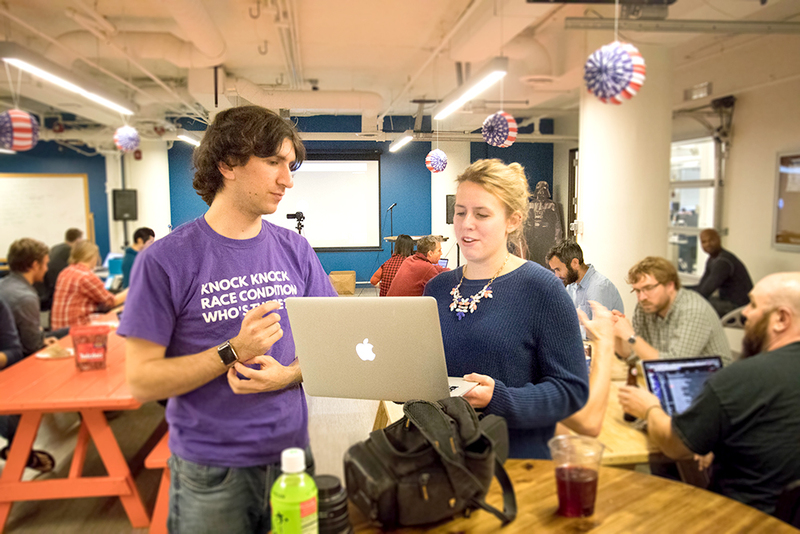 This year Hack Week at Signal coincided with the 2016 presidential election. So Signalites spent the week in a race to create the most innovative office hack. 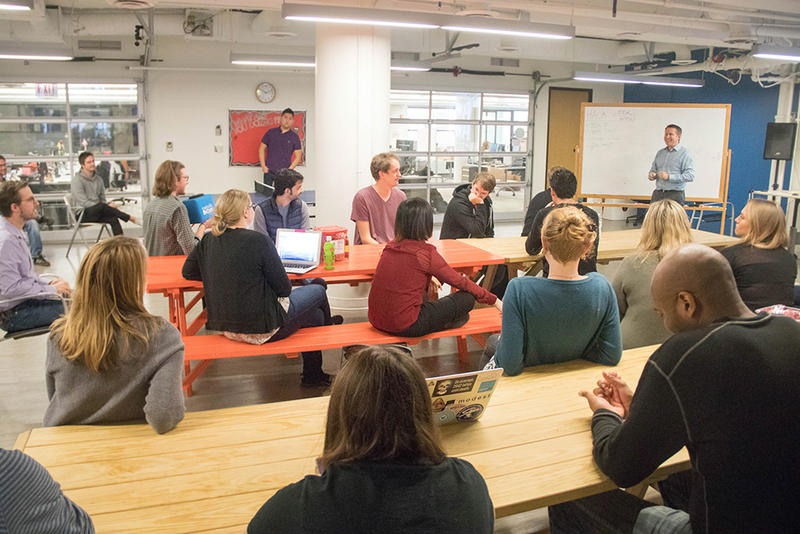 In true democratic fashion, every employee was given a platform for diving into new projects that would benefit our clients, foster collaboration and create an even better work experience for our teammates at Signal. “My favorite part is the energy and sense of renewal that comes with taking a fresh look at things that excite you, and trying to implement them,” said Andrew Violette, Principal Engineer at Signal. Along with the work put into these projects, Hack Week also featured yummy Mediterranean, pizza and BBQ lunches, and special guest Luis Carreon, an award-winning magician and mentalist performed a magic show including everything from disappearing acts to card tricks. This fanned the flames of creativity in Signal employees, inspiring them to experiment with new approaches to their hacks during the week. On Friday, it was time for Demo Day, and hackers presented their 24 projects to the entire Signal team so they could vote on their favorites. 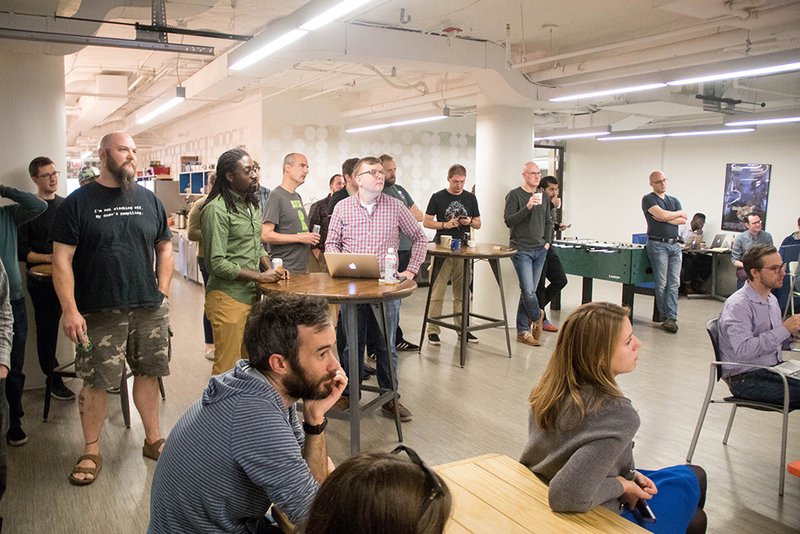 “Hack week is always a blast for so many reasons. It’s wonderful to be able to work on something outside the development cycle and great to see what other employees are bringing to the table,” said Jenny Kinahan, Signal Software Developer. Signalites proved this week that every hack really does count! Check out last year’s Hack Week!